Prestyl’s Far-infrared heat technology is a far more therapeutic, deeply penetrating, and detoxifying form of heat which expels toxins, heavy metals, and pollutants from the body, providing numerous health benefits. Health and safety are assured through Prestyl’s quality technology that will not create harmful eye or skin damage during prolonged exposure. Traditional forced air heating systems circulate hot air that eventually rises to the ceiling resulting in an uneven heat distribution throughout the space. This creates a loss of heat as well as higher energy wastes to maintain desired room temperatures. Like the natural heat of the sun, Prestyl’s Far-infrared technology evenly distributes radiant heat throughout the space from the floor to the ceiling, maintaining warmth and comfort. Prestyl’s heating panels do not heat the air, resulting in a difference between floor and ceiling temperatures within a room that is usually less than 2 degrees. No excessive hot air is stacked at the ceiling, which means there are no unnecessary losses. Since the energy is stored in the space, no extra energy is wasted in an attempt to maintain your desired room temperature. 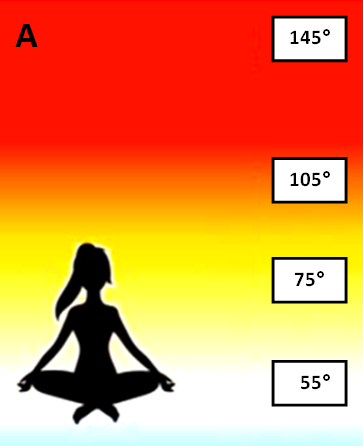 The images show the differences in heat distribution between forced-air heating systems (Image A), and Prestyl’s Far-infrared heating system (Image B). With forced-air heating systems, hot air rises to the ceiling resulting in uneven heat distribution throughout the space. With Prestyl’s Far-infrared technology, warmth is evenly distributed throughout the space, maintaining temperature and comfort. I have had my heat panels since May of 2014 and love them. 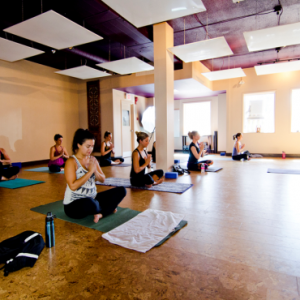 I have a hot yoga school, and they have been the best choice for heating systems. They are quiet, clean, reliable and more importantly therapeutic. 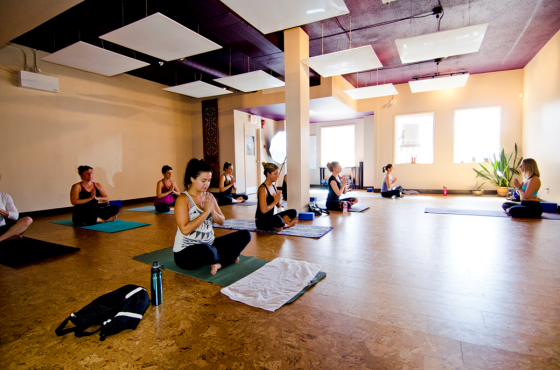 They make hot yoga available to people who have asthma and other respiratory problems. Prestyl has always been available both during all stages from purchasing to installation and beyond. I am extremely satisfied with the product and the company. I own a small hot yoga studio and my entire studio is heated by Prestyl’s far-infrared panels. I have been more than pleased with the quality and quantity of heat that they supply to my studio. 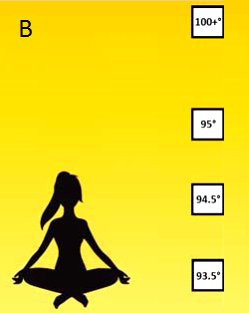 I am able to maintain the high temperatures that my clients are expecting and craving from a hot yoga studio. The panels are quiet, consistent and cost efficient. I would recommend these panels to anyone looking for an alternative to standard heating practices. Kristi Mcrae - Yoga Studio Owner One Love Hot Yoga in Kimberley, B.C. The unique thin-film technology used in Prestyl’s heating panels is extremely efficient and reliable, typically providing savings of 15%-50% over traditional heating methods. The panels contain no dangerous carbon, no heating coils, no fiberglass, no moving parts, no hazardous material, and are entirely eco-friendly. The heating element is completely sealed, assuring a long life expectancy. Prestyl’s panel housings are made of 100% recyclable aluminum, which provides for a lightweight and durable design, making our state-of-the-art product efficient and reliable for all heating purposes. All panels feature a 5 year limited warranty and are maintenance-free! Panels are available in three sizes, with various images and color options. 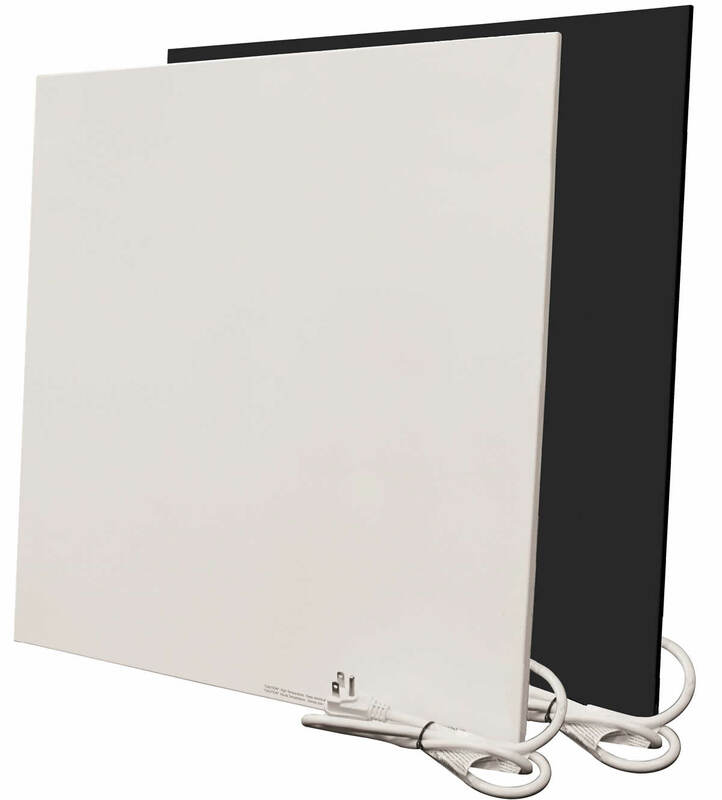 Panels can be flush mounted, suspended using chains, fitted into ceiling grid systems, or mounted on the wall. Prestyl’s systems can be zoned for small or large classes; the systems are easily expanded, as needed in the future. May be transferred and repurposed when relocating. Prestyl’s panels can be used in studios of any size.